Dynamic Dolly for Flying Dutchman boats Features Tube and sling lengths are custom fitted for eac.. 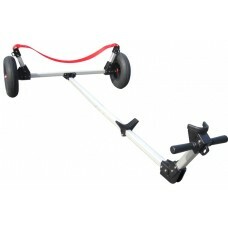 Dynamic Dolly for Harpoon 4.6 boats Features Tube and sling lengths are custom fitted for each bo.. Dynamic Dolly for 15' Heritage boatsFeaturesTube and sling lengths are custom fitted for each boat t..